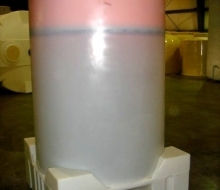 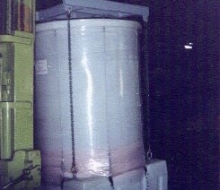 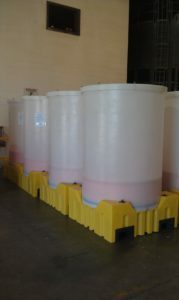 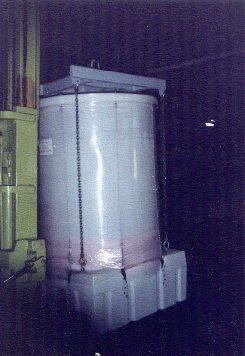 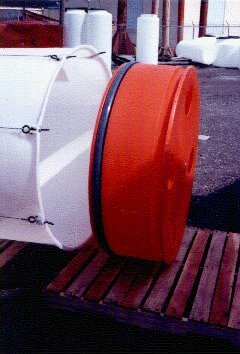 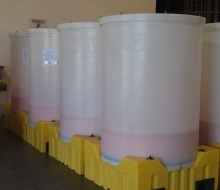 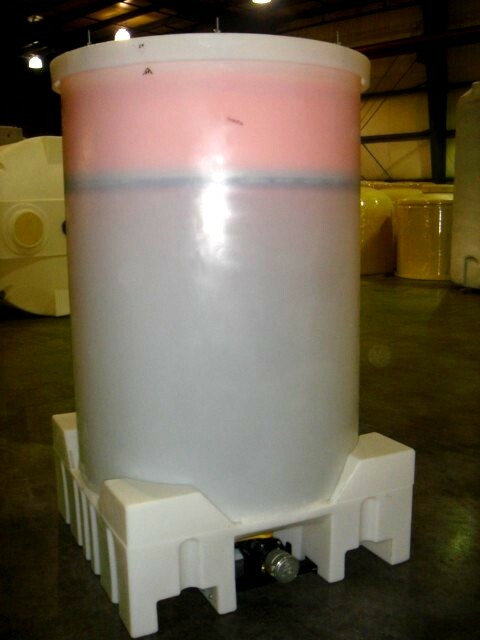 The poly bins have been used for lubricating greases, plastisol sealers, and fiber optic gels. 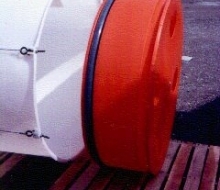 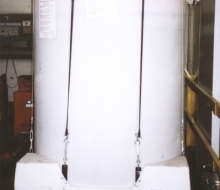 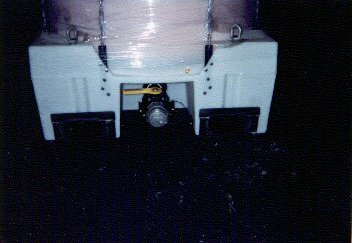 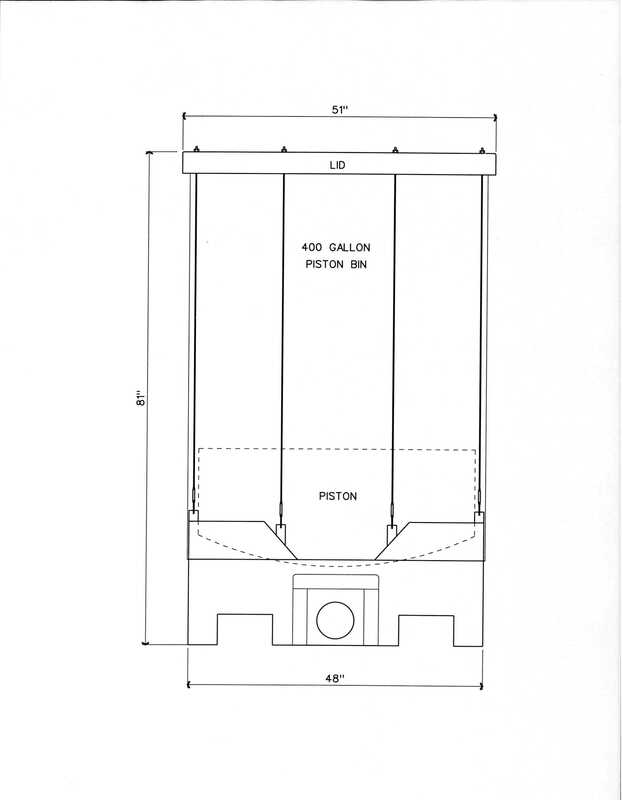 This is a pump operated system that is filled and discharged through the same bottom 3″ valve and quick connect fitting. 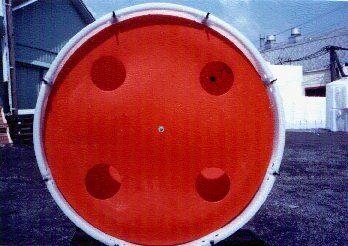 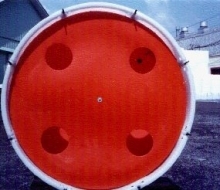 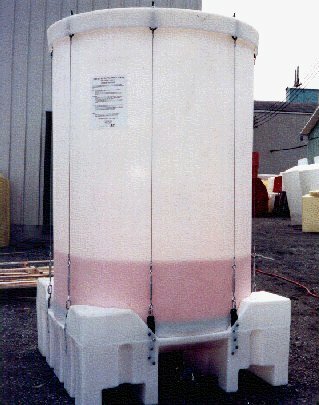 The material must be flowable for the pump to load properly. 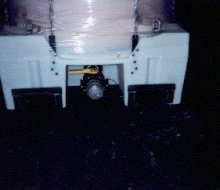 As the material is pumped out, the vacuum below the airtight piston pulls the piston along with the product while wiping the tank sidewalls clean. 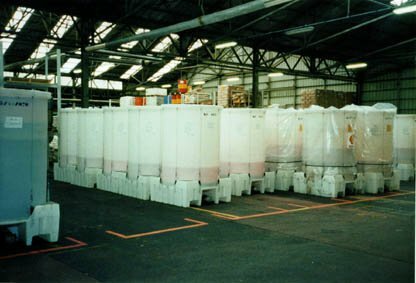 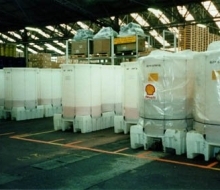 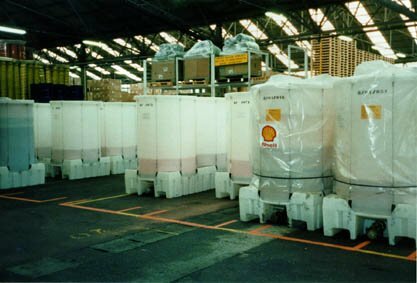 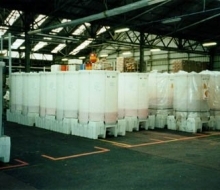 Because the material level can be easily viewed, customers use more product when compared to other containers. 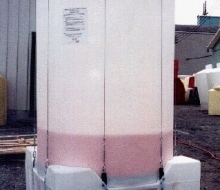 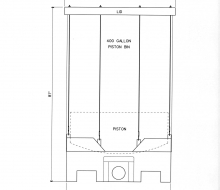 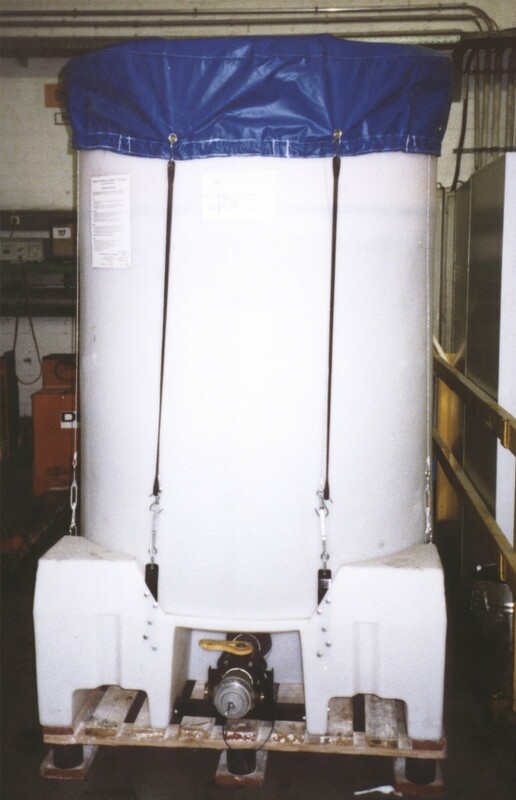 When completely discharged, only 5 or 6 gallons remain in the 400 gallon piston bin.